Hey Mick, how about a scarecrow near the watermelon plants? How about a soil rich in worms so birds can pick them up instead of pecking up your watermelon fruits? We have a saying in Egypt that goes "Eat from what the birds eat," meaning that whatever the birds choose to eat is a guarantee that it is safe to eat. So birds eating from your watermelon is a sort of testimony to the wellness of your watermelon fruits. We also have a belief that God rewards any person who grows a plant from which birds, animals or humans eat. Perhaps a scarecrow would do the trick. Yet if some birds still eat from your crop try to look at the bright side of things. And by the way, I discovered that from among the basil I grew the one from which birds eat grew up more healthy and resisted disease when the others got infected. Our climate in the Netherlands is not very good for watermelons, and all the watermelons sold in the stores here don't have seeds any more. The next time I come across one with seeds, I'm going to try this. By the way my blog is about old varieties of fruits and vegetables (like watermelons with seeds), and it's something I'm interested in. I hope you will write more about old varieties of Egyptian fruits and vegetables that are still being grown where you are. Yeh it seems seedless watermelon has become the norm in Western countries Patrick. In Egypt, farms are now growing "new" varieties of almost everything, old varieties are disappearing. I believe heirloom varieties are now rare in Egypt yet I would love to attempt to search for some and try to grow them. I'm not sure where exactly to start the search though. Hey Patrick, that's interesting. Thanks for the link. Perhaps I should try investigating Egyptian heirloom plants more. Who knows, I might get lucky enough to even reach an Ancient Egyptian seed *wink*. By the way, I've never been to the Netherlands but I admire it's reputation for being a large market in the EU for cut flowers. Great blog Ashraf Al Shafaki. That's a very cool way of making use of the seeds. I'll have to give it a try next time we buy a watermelon with seeds. I hope to grow some next year. Do you know the Kurrat Leek or Egyptian Leek (كرات)? You only eat the leaves of this plant. In a comment on my blog Cynthia also suggested Molokhia leaves, used in soup. Do you know this? I've never heard of these. Do you know Tigernuts or Chufa? I think these are also from Egypt, and probably grow along the water. Hey Kate, John, Patrick thanks a lot for turning this into a very interesting discussion for me! Upon reading Cynthia first comment on your blog, it was not hard for me to guess upon getting those three clues "a green of Egypt" "first letter ... m" and "something very special she missed from her birth country" that "this green" was referring to Molokheya (ملوخية). Molokheya is used in Egypt to make "green soup" and is extremely popular and very delicious. A lot of Egyptians traveling abroad usually take molokheya with them so they don't miss it and when they run out of it many feel they miss it so much. Ful (فول) or fava beans are the #1 edible plant in Egypt. They are extremely popular and are eaten by the rich and the poor. There are perhaps half a dozen or more different types of dishes and popular Egyptian foods done from fava beans! They are so commonly grown in Egypt. Ful medames is the most popular of the fava bean dishes in Egypt and ful medames sandwiches are the fast food of Egypt just like burgers are in the US, except that they are way cheaper. Egyptian Leek, Korrat (كرات), is popular in Egypt. It tastes somewhat like the green part of an onion plant except perhaps a bit milder in taste. Traditionally Egyptians eat korrat with a dish of Ful modames. As for Tigernuts or Chufa, I am not sure I know this. It looks somewhat like a traditional Egyptian plant called Hab El Aziz (حب العزيز) yet that Egyptian plant looks a bit flatter and not completely round like Chufa. I am not sure if it is the same thing. Anyway, Hab El Aziz is a traditional plant in Egypt and eaten as a snack but it is currently not as popular or as widespread yet still found around. I hope you grow some and show us the results. I've read on some site that watermelon seeds have high nutritional value being rich in zinc and iron, yet are high in calories too. I don't mind the calories though as long as I move a lot to burn them down. Thanks a million all for your rich comments. I guess that could motivate me to write about Ful or Molokheya in a later post. Ful being so common in Egypt as air and water had me never think of it as a possible subject for a post on this blog! Hi - this is my first time to your site. I'm here because of a recommendation from Bifurcated Carrots to check out the roasted watermelon seeds. Love your site - I'm adding you to my blogroll! Hi Bobbi, thanks for adding me to your blogroll. I crave being linked to from related blogs as it makes Google love my blog just the more. So thanks a lot for the link. I appreciate it a lot and for all the others who have linked to my blog thanks a million as Google has now started to take notice of my Egyptian blog due to such links. I'm glad you liked my Egypt Farm blog. 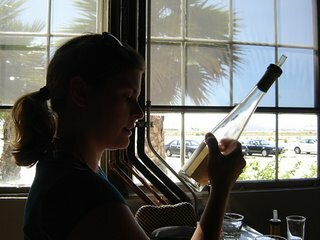 Thanks a million to Patrick (of Bifurcated Carrots) for spreading the word about my new blog. By the way Bobbi, I've added a link back to your blog in my blogroll too! Linking to appropriate and related blogs and sites helps ones blog with better ranking in Google. What you say about Google page rank is certainly true, and of course it's important for people to be able to find your blog with Google. There are several gardening blogs that will link to anyone, hope people will link back to them and of course there's nothing wrong with that. I link to a couple of these blogs myself. In the gardening world there are so many different kinds of people. Those that use chemicals and others who are organic. Some grow modern plants, and others like me who grow older ones. People who mostly grow flowers, and others who grow vegetables. Some people like raised beds, while other plant directly into the ground. As well as all of these things, a lot of garden bloggers just like people who live in the same country or region as them, have the same religion or have something else in common. There are also an unbelievable number of garden blogs by now. When I started my blog a few years ago there were probably 10 other serious garden bloggers. Now there must be hundreds of them. What most people do is use their blogroll to link to other blogs that are somehow like their own. For example, I link mostly to other blogs who are interested in older variety plants and saving their own seeds, and mostly fruit and vegetable growers. Other people link to friends or people who leave nice comments on their blog. Once you start to learn about the different blogs, you can really tell a lot about a blog by who they link to and who links to them. There is a lot of politics in links on garden blogs. For example, blogs that are in the blogroll of a lot of important blogs are very popular, while blogs that score well in Google but don't often appear in blogrolls of real blogs are doing something dishonest to raise their Google page rank. There are a lot of blogs like this. It's not just how many blogs link to you, but the 'quality' of those links that matter for Google page rank. In other words, if a blog links to you that itself has a good Google ranking, it's better than if a completely new blog links to you. There are a lot of garden blogs with very high page ranking, and once a few of these link to you, you will have more than enough page rank yourself. While I'm always glad when people link to me, because they are showing they like me, I really don't need anymore links. I find having a high Google ranking a little annoying, because it means a lot of people find my blog for the wrong reason. It often means people who don't have any experience gardening leave questions in comments. I also get a lot of spam comments. At the same time if I didn't pay any attention to making sure enough people linked to me I would disappear from Google and other databases, and I wouldn't want that to happen. It's not that you should ignore Google page rank, but I think in a few months you'll see it's not as important as you first thought. Writing interesting posts or leaving comments on other people's blogs will probably get you more links and attention than anything else you do, and is probably more important in the long run. I think you are an interesting person, and I don't think you will have a problem finding people to link to you. This is just my opinion! Feel free to ignore everything I've just said here if you want to do it a different way. I just thought I would share my experiences. I'm so excited about roasting the watermelon seeds. I'm growing watermelon for the first time this year, an heirloom native American variety I received in an exchange. Of course, I'll want to save many of the seeds to exchange with others in order to help keep this variety alive, but I think it will be fun to try roasting some of the seeds too. Thanks for the great idea and sharing your traditions with the rest of the world. We're all the richer for it. Christina, I feel delighted that you are "excited about roasting the watermelon seeds". It's very interesting for me that something so common here in Egypt would give such excitement to someone living elsewhere in a different culture. The same thing with tomatoes here by the way. In Egypt, tomatoes are very cheap and we use them in so many of our dishes. Perhaps I ought to write about tomatoes from an Egyptian perspective at some future post. Tomatoes are looked upon highly in the USA and Europe, while in Egypt it is just considered a main staple used by the poor and the rich in most of their meals. It's interesting to hear about your seed exchange. So have you done the exchange through mail or just exchanged seeds with someone nearby? Perhaps it would be interesting if you would write a blog post about this seed exchange experience you had and how it works. Patrick, thanks a LOT for your lengthy comment which was full of energy and useful information for me and for others as well. I believe you are right, I wanted to tidy out my blogroll and put links to my favorite blogs in a separate section. The issue was that there were just too many blogs out there at Blotanical that it is tough to follow up and sort the best ones out easily. I have started my Arabic "Farm Dream" blog just above a year ago. Upon finding Blotanical, I was so excited to at last find an endless stream of gardening blogs. I added my Arabic blog to it. There were absolutely NO other Arabic blogs related to gardening or farming! My adding my Arabic blog to Blotanical made someone visit it and leave me a comment there in English upon seeing one of the photos I had for a "Wandering Jew" plant. He did not understand what I wrote in the blog in Arabic, but the photo spoke to him. This was the moment I realized I had to start a second blog about plants yet in English this time. And here is my new "Egypt Farm" blog showing. I have started blogging some 6 years ago and had high ranking blogs about HR and Software. Try this Google query: Egypt Software. Try it also in Yahoo!. My Egypt Software blog ranks extremely high in both search engines among millions of search results for such search query. I've also written an article about SEO (for the others who dont' know it, it sands for: Search Engine Optimization) introducing some of the simplest of its concepts. I love many of what you have said and have comments on many of the interesting parts of your comment, yet my energy is a bit low right now to think them and write them down as I've just returned from an exhibition in Cairo called Sahara, for desert farming. Patrick, your comment is so interesting and informative and worth a second read for me. Perhaps I'll reread it after I regain some of my energy (maybe eating some watermelon :)). I don't know why I'm trying to tell you about SEO, you probably know more than me! If you are trying to create a commercial blog, or there is any other reason why you want as large a PR as possible, then please ignore what I say. The garden blog world is very fragmented. For example, you won't find me in Blotanical unless someone else put me there. I have never looked at it. Why? No particular reason, I'm just not interested. There are other things for me to look at and spend my time with. Stuart, the person who created it, and I just never really found anything interesting on one another's blogs and we have never been in each other's blogrolls. As far as I know we don't hate each other in any way, we have just found our own garden blogging friends in different places. I have never needed to use Blotanical to find new blogs, because there are so many out there! I hear from others Blotanical is really great, and I'm sure Stuart has done a great job making it, but I'm just not interested. I suspect if you follow the links on my blogroll you will find several other blogs that are not in Blotanical. If you put a Blotanical banner on your blog, it will identify you as a particular kind of garden blogger, and some people may decide to like you or not like you accordingly! This is true with most other banners or links as well. We are all this way. We just all have people we like and others we don't. We are all a lot of small circles of friends. I don't think there is any way you can be friends with all of us, but you can try if you want! If you are a garden blogger who's been around for a while, you get lots of emails from garden stores or magazines asking to trade or buy links. Most of the major garden blogs won't trade links with anyone unless they get money for it, there is just no reason to. Some of the smaller or newer blogs will certainly trade with you if you ask. I don't usually trade or sell links. Some garden bloggers make a few hundred US dollars per month on advertising or paid links on their blogs. For them managing their PR and links is very important, and they usually don't want any unnecessary links. Almost all garden bloggers are friendly people, and will add you to their blogrolls if you get to know them and they like you! The best thing is to look for garden blogs you like, and get to know the people behind them. By the way, I am also a computer person. I spent several years as a C programmer and UNIX system administrator, but I haven't worked in several years. You might have a look at PlanBe in South Africa and Tiny Farm Blog in Canada, as they are also former computer people now running their own farms. See my blogroll for the links. There are a few in the US too, I just can't think of the names right now. There are probably others I don't know about. First of all, thanks a lot for pointing me to those two blogs, it's very interesting to find people who have been into IT going into farming. It's more interesting to know they are running their own farms now! The name "PlanBe" sounds very inspiring to me, I just love it. I've opened both blogs and will take a deep look inside. I spent months searching for farming blogs but was unable to locate a single one. Then one day, I found one such gardening blog. It linked to Blotanical, and there the gates were wide open for me on a wealth of gardening blogs which otherwise I would have not been able to locate. Sure after starting my own Egypt Farm blog comments started to trickle and the blogs I started to visit and comment at started to create a critical mass for me to be able to sustain without getting back to Blotanical, yet that happened only after I was "seeded" with blogs from Blotanical. Yet still I like to visit it to sample the new blogs added there. Sure I do not add every one of them, but only the ones I feel go hand in hand with what I enjoy and believe in when it comes to gardening and plants. Nevertheless, I was astonished to find my blogroll growing so tall in so short a time and it just looked so ugly so I decided to "prune" it a bit, yet this is a project yet to be done. Perhaps your words would encourage me to try to start such a pruning process 'earlier'. Amazing blog! I will be visiting often!! Glad to have you as a regular reader Laila. It's interesting that before reaching the 20th comment an Egyptian finally peeked in! I love watermelons. They remind me of Christmas holidays. Thansk for the growing tips. vivh, it's interesting to know watermelons remind you of Christmas, I never knew they were related. In Egypt, the watermelon season around July, way away from Christmas. I'm trying to grow watermelons, perhaps if I succeed I might share some growing tips if I find them worthwhile. I am gardening and blogging in Poland :) dropped by from Patrick's blog. Will keep my eye on your next postings. I add you to my blogroll. Nice to have you as a reader Ewa. Thanks for adding me to your blogroll! It's so nice to find people from different countries. It's cool to find someone doing garden blogging from Poland as there are not too much gardening blogs from Poland around. Rare is nice. mrtumnas, eating seeds in Egypt as snacks is so common in Egypt. Perhaps that's why watermelon seeds have entered the group of seeds being eaten in Egypt, yet we more commonly eat other types of seeds in Egypt, which we don't prepare ourselves but buy ready to eat from the shops. There is a special type of shop in Egypt for selling different types of seeds as well as some types of nuts. That type of shop is called Mekla (مقلة) in Egypt. It basically sells two types of seeds: Leb Abyad (لب أبيض) which means white seed and Leb Asmar (لب أسمر) which means black seed in addition to peanuts and some other nuts. Egyptians regularly eat those as snacks while moving around, being with friends or watching TV. Hey Raw, I find your comment a lot interesting. It's unique and has nice and interesting pieces of info in it. It's interesting that you eat the watermelons with the seeds, I never tried that! 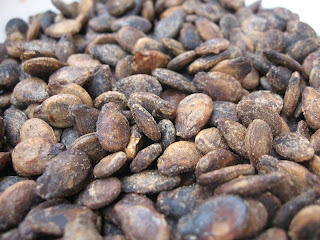 When we roast the seeds, we do not eat the whole of the seed, but we crack it open and eat only what's inside it. It's the first time for me to hear about someone eating the whole seed of the watermelon, I find that very interesting. It's nice to know about the Watermelon Days. In Egypt, watermelons show up heavily in the market during July and around. Wow, you learn something new everyday! I had now idea that watermelon seeds were edible. Thank you for sharing this bit of information as I found it very interesting and will sharing it people I know. Cynthia, thanks a lot for your refreshing comment. Yes the kernel of the watermelon seed is edible, but not the whole seed (at least that is the case here in Egypt). It's nice to spread it to all your friends, yet I guess it would be a good idea to ask around first to make sure that it is not harmful, since the ancients used to plant organically which makes seeds safe, but as today's crops are mostly grown chemically (chemical fertilizers and pesticides) and it is known that such stuff might concentrate in kernels, so I guess we need to check again now if such seed kernels are safe today, the ones that have been grown with chemical fertilizers in use. Sounds a lot like how we eat pumpkin seeds! I'm fascinated at the similarities and diffences is how you garden WAY over in Egypt as compared to here in the southeastern U.S. I'll have to share with my daughter, too, as we've been studying a bit about ancient Egypt! Oh, thank you for the tip! I don`t have so many watermelon seeds right now. But i guess the process is good for sunflowerseeds as well? in Egypt traditional Mekla (مقلة) shops are so popular, they sell roasted edible seeds and other snack foods such as peanuts. They pack them as you buy in small (or large) paper bags. Usually the seeds/peanuts are hot as you buy them. The two popular seeds sold in such shops are Leb Abyad (لب أبيض) which literally means white seeds and Leb Asmar (لب أسمر) which means black seeds. The white seeds are pumpkin seeds, yet most of us consume them without knowing there are originally from pumpkins! As for the smaller and harder black seeds, I actually do not know from which plant they are taken. It's interesting to know that you reading a bit about Ancient Egypt with your home schooled daughter. a third less popular type of seeds I remember I used to buy from those shops back at high school time were Leb Sury (لب سورى) which literally means Syrian seeds. Actually this is sunflower seeds, which again most of us consumed without knowing that sunflowers were their source. Thank you for this post! I do have to try this when we have watermelons again in our stors. Hey Linda, I hope you do try it. Not only do they taste good, but its also fun to make them! A wonderful post that had my mouth watering. I don't think watermelons would fare well in the north of England, but very interesting to hear that you roast and eat the seeds. Excellent post! I will have to try making these in the future! Ashraf, it seems our hot climate makes our gardens and our tastes very similar. Watermelons are just as popular in India as in Egypt, I think. Isnt it amazing how all the thirst-quenchers are ready just in time for summer? Watermelons, lime, oh yes, and tender coconuts! (Well, the tender coconut water is available year-round but the sweetest juice is available in summer). 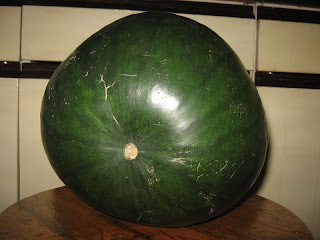 I didnt know about the watermelon seeds being edible but in India we do use the discarded rind in our vegetable curries. Very tasty! I was excited reading your comment. So nice to hear from someone from India, I was born in India myself! India has higher temperatures than Egypt and way more humidity, plus lots of rain, compared to Egypt where we get just a few days of rain each winter and that's it. Plants tend to grow extremely fast and strong in India due to that. I also love how in India there is a relatively large (compared to other countries) percentage of organic (biodynamic) farming going on. Yes I agree with you, it's a blessing how the right fruit is ready at the right time of the year. I love trying to live more naturally and away from artificial life in which we force plants to grow year round when they are meant for specific seasons. I'm glad you have the intention of trying them. It's nice to know that what I write could affect some other people's actions. I'm happy to get your comment. I've been to my first school year in England. It was nice getting a comment from someone from England. Yeh, watermelon needs high temperature, hence Italy could be a place they would grow. I remember Italians coming to Egypt used to eat a lot of watermelon, since its price in Egypt was way lower than its price in their country. I guess yes watermelon would not be easy to grow in the north of England. Really? So, my Indian friend, how long did you live in India before going to Egypt? No, I'm not being nosy, just wondering whether you had a chance to pick up Indian farming methods before you left. You're so right! There's quite a bit of organic farming and gardening going on in India. While much of it is a conscious effort, there's a lot of it happening by default too. Many of the growers just stuck to their traditional age-old ways of doing things because they found chemical pesticides, etc. too new-fangled for their liking. Their great-grandad's way of growing things, of course, now goes by the name 'organic' and everyone's exhorting everyone else to try this fantastic new way of cultivation. I bet they're having a big laugh right now! I'm curious... what do you grow in winter when you do get your brief rainy spell? Is it accompanied by cold weather? I'm Egyptian, I was only born in India and spent only 3 months there. In addition to what you said about part of the farmers being stuck by default with organic I guess biodynamic farming is close to the Indian tradition since in India people are closer to nature, Yoga, the stars and the zodiac so biodynamic farming comes more naturally to them and to their beliefs and practices. Egypt is mostly desert except for a thin line running from south to north of Egypt across which the River Nile flows and around which over 96% of the population lives! The River Nile has been the lifeblood of Egypt since thousands of years ago since the time of the Ancient Egyptians and the Pharaohs and still is. We basically do not depend on rain for farming except perhaps at some desert areas where rain is important and they basically grow date palm trees and olive trees. You're right about most Indians being close to nature. We tend to turn to natural remedies any time our plants or we ourselves fall sick. For example, I use turmeric powder to cure a rot in my plants, and many people use it as an antiseptic to treat a cut. Tulsi leaf tea to treat a cold, and crushed tulsi leaves along with neem to get rid of pests and fungus. I think we are more 'green' than we realise! Unlike India, Egypt has no forests, none at all. Yeh, I love folk medicine and natural remedies. I hope to get rid completely of 'classical' medicine which has become the tradition now. Wow, I never knew that you could toast and eat watermelon seeds. Thanks for the great post! Thanks for all of the great ideas and help with my blog. :) Have a great day! What a great idea about the seeds! I can't wait to try it next summer. Nothing goes to waste that way, very frugal. But you should think about saving a few so you can trade next year. I'm in southern California so we have similar climates. I love finding out what other gardeners are doing in our weather. We have the same climate but such interesting and different ideas. I'm adding you to my Blotanical faves! When how long do you have to keep the watermelon seeds to get them dry? Yes it's interesting that California has a similar climate (at least temperature) to that in Egypt. Although the rule of composting (at home) is not to put any sees with the kitchen waste, yet I just put all the seeds with the kitchen waste in the compost. Since the home composting process does not build enough heat, the seeds are not harmed. The following season I usually find lots and lots of watermelon seeds sprouting out of my compost! I do leave some of them to grow for a while and weed out the others. Unfortunately I only grow stuff in pots in my balcony so I do not have a garden to let the watermelon seedlings complete their growth cycle. I hope one day I will though. I'm not sure if the seeds will work though since I do not know whether or not they are a result of some hybrid (F1 or so). I can't remember exactly how long does it take for the watermelon seeds to dry out. I guess it depends on the weather. Since the weather is hot hear in Egypt (specially in summer which is the season for watermelons), I guess it takes perhaps 2 days more or less for the little black things to dry. Might be a strange question, but is it safe to eat the seeds without heating them? As is? 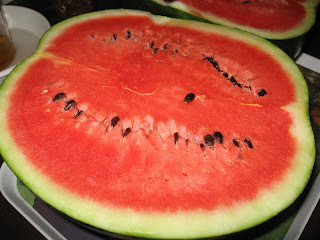 I do not know about the safety of eating raw watermelon seeds, but I know that they taste so nice when heated. Congratulation on your site. Please I would like to know the origin of the leb asmar. I am sure it is not from water melon. As for leb asmar, it is produced from a different type of melon which is grown only for its seeds and not for the fruit itself. Glad to hear about that! We do not have seedless watermelons in Egypt, they are unheard of here. If you tell any Egyptian that there exists in the world watermelons without seeds he'll be in total surprise! I do not think the varieties grown in Egypt are really heirloom varieties, yet they just one that still contain seeds. I'm so glad to get your comment! That's great, try and let us know how your experiment went. Most of all let us know how it tasted! Do Middle-easterners ever eat the roasted watermelon seeds, shell and all? Is it safe to eat it whole? Seems a LOT of trouble to shell them since the seed tends to crumble in the process of shelling them. Did you know you can create short links with AdFly and make cash from every click on your short urls.